When setting up a new FreeBSD server, there are a number of optional steps you can take to get your server into a more production-friendly state. In this guide, we will cover some of the most common examples. We will go over how to set up a simple, easy-to-configure firewall that denies most traffic. We will also make sure that your server's time zone accurately reflects its location. We will set up NTP polling in order to keep the server's time accurate and, finally, we will demonstrate how to add some extra swap space to your server. Before you get started with this guide, you should log in and configure your shell environment the way you'd like it. You can find out how to do this by following this guide. The first task that we will tackle is setting up a simple firewall to secure our server. FreeBSD actually supports and includes three separate firewalls, each with their own strengths and weaknesses. These are called pf, ipfw, and ipfilter. In this guide, we will be using ipfw because we can easily get up-and-running with a secure, stateful firewall. As you may expect, the first line enables the ipfw firewall, starting it automatically at boot and allowing it to be started with the usual service commands. The second command tells ipfw not to output anything to standard out when it performs certain actions. This might seem like a matter of preference, but it actually affects the functionality of the firewall. Two factors combine to make this an important option. The first is that the firewall configuration script is executed in the current shell environment, not as a background task. The second is that when the ipfw command reads a configuration script without the "quiet" flag, it reads and outputs each line, in turn, to standard out. When it outputs a line, it immediately executes the associated action. Most firewall configuration files flush the current rules at the top of the script in order to start with a clean slate. If the ipfw firewall comes across a line like this without the quiet flag, it will immediately flush all rules and revert to its default policy, which is usually to deny all connections. If you are configuring the firewall over SSH, this would drop the connection, close the current shell session, and none of the rules that follow would be processed, effectively locking you out of the server. The quiet flag basically allows the firewall to process the rules as a set instead of implementing each one individually. First, we select "workstation" as the type of firewall we will be configuring. This is a stateful firewall with some good default behavior. It also allows us to easily customize the services we want clients to be able to access by using the firewall_myservices and firewall_allowservices options. Finally, we configure ipfw to log any connections that are denied by the configured rules. This would have the same results. If you use SSL on your web server, make sure to add either port 443 or the https service to this list. The firewall_allowservices list items are the clients that should be allowed to access the provided services. The keyword "any" means that any clients can access these services. If we wanted to limit the clients that could connect to our services, we could do it here. The firewall_logdeny option tells ipfw to log all connection attempts that are denied to a file located at /var/log/security. Remember to adjust the firewall_myservices option to reference the services you wish to expose to clients. When you are finished, save and close the file. This will allow any client from within the 192.168.2.0/24 network range to access a DNS server operating on the standard port 53. Note that in this example you would also want to open this port up for TCP connections as that is used by DNS servers for longer replies. The firewall should come up correctly, blocking unwanted traffic while adhering to your allowed services and ports. This firewall will start automatically at every boot. Save and close the file when you are finished. This will configure that setting on the next boot. This should immediately implement the limit for this boot. 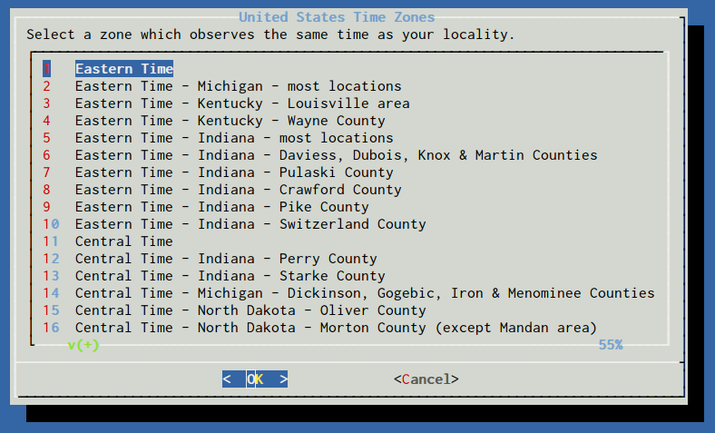 It is a good idea to correctly set the time zone for your server. This is an important step for when we configure NTP time synchronization in the next section. 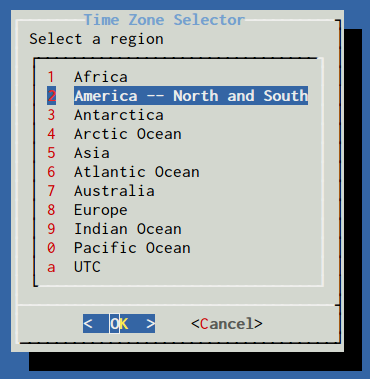 Confirm the time zone selection that is presented based on your choices. At this point, your server's time zone should match the selections you made. Now that we have the time zone configured on our server, we can set up NTP, or Network Time Protocol, on our server. 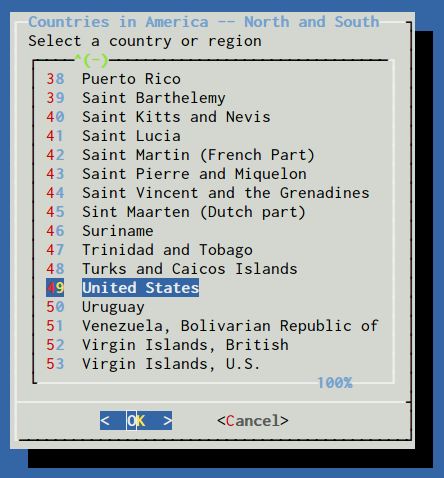 This will help keep your server's time in sync with others throughout the world. This is important for time-sensitive client-server interactions as well as accurate logging. If we did not have this line, our NTP daemon would fail when started due to the timezone settings that skew our system time prior in the boot process. This will maintain your server's time by synchronizing with the NTP servers listed in /etc/ntp.conf. Some users and applications may need more swap space than this. This is easily accomplished by adding a swap file. The first thing we need to do is to allocate a chunk of the filesystem for the file we want to use for swap. We will use the truncate command, which can quickly allocate space on the fly. In this guide, we will put the swap file at /swapfile, but you can use any reasonable location within the filesystem. This file will provide an additional 1 Gigabyte of swap space. You can adjust this number by modifying the value given to the -s option. This swap file will be mounted automatically at each boot. The steps outlined in this guide can be used to bring your FreeBSD server into a more production-ready state. By configuring basic essentials like a firewall, NTP synchronization, and appropriate swap space, your server can be used as a good base for future installations and services.